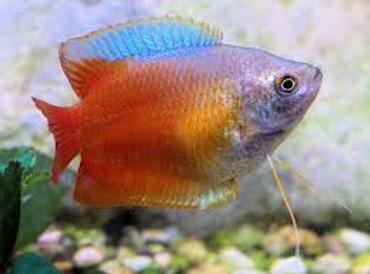 When it comes to decorating your tank, one of the first decisions you need to make is in regard to the substrate you will use. 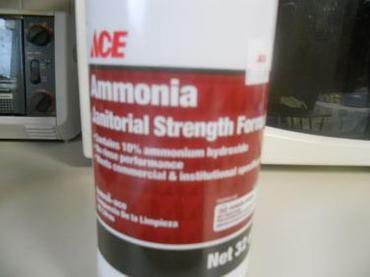 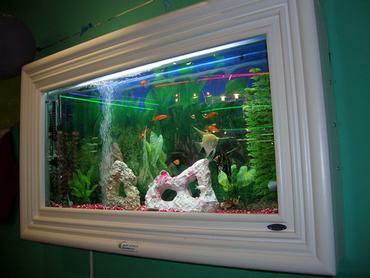 The substrate in your aquarium isn’t just for show – it fulfills several important purposes. 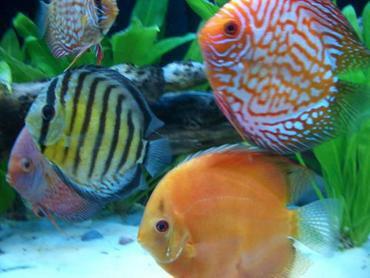 Most importantly, the substrate in your tank is where the majority of your beneficial bacteria are going to live – the bacteria that help to initiate and maintain the nitrogen cycle. 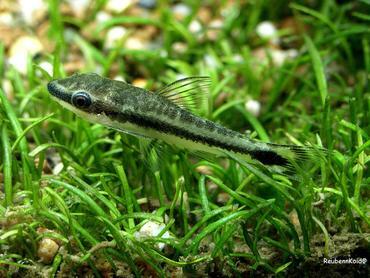 Substrate also gives you a medium in which to root live plants and some species of fish are filter feeders that sift through the substrate to find food. 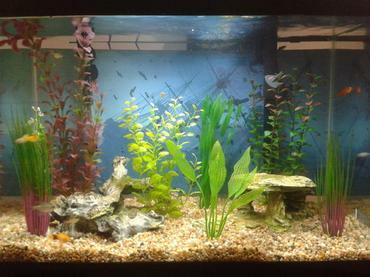 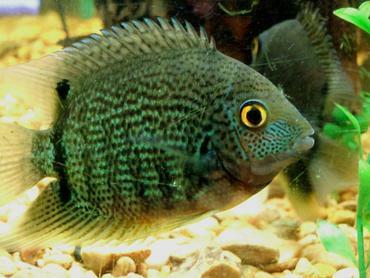 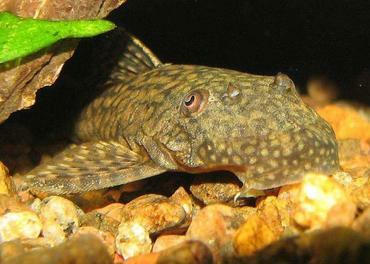 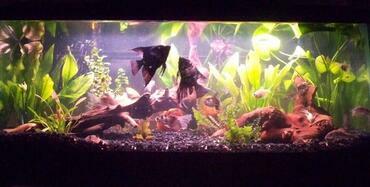 For a tank housing large species of freshwater fish, you have to consider the needs of the individual species, but gravel or sand are the top choices. 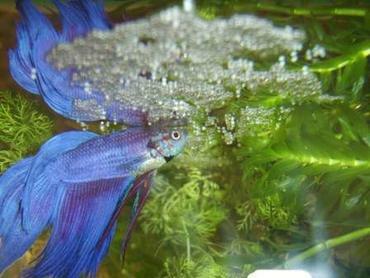 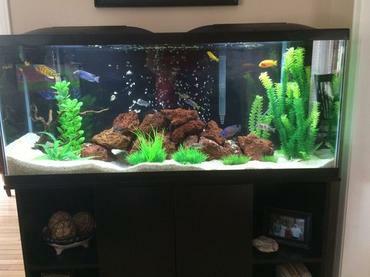 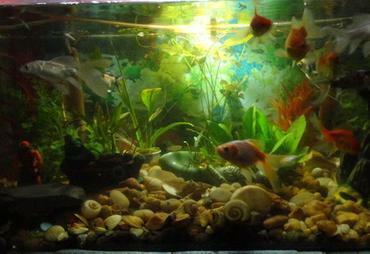 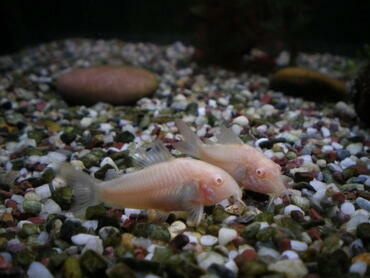 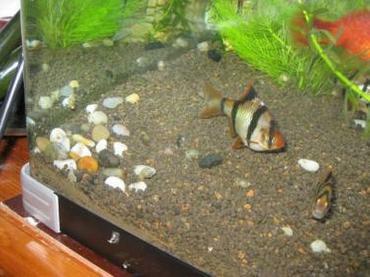 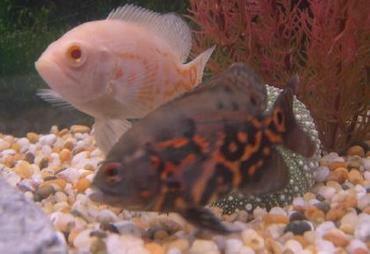 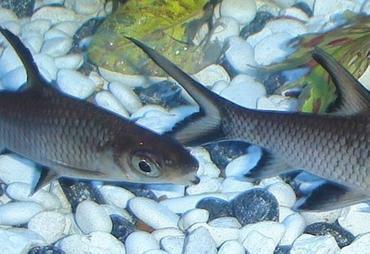 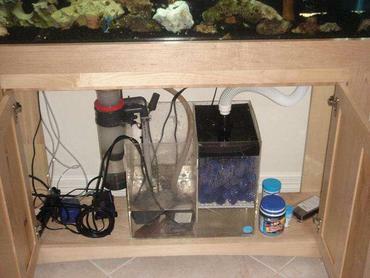 If you are keeping fish that sift through the substrate for food, then sand is the best option. 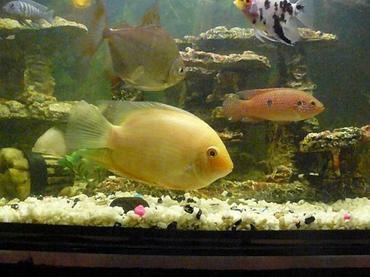 For other large fish, however, a gravel bed 1 to 2 inches deep is the best option – this will make it easy for you to vacuum the gravel to get rid of the waste that accumulates so rapidly in a tank full of large fish. 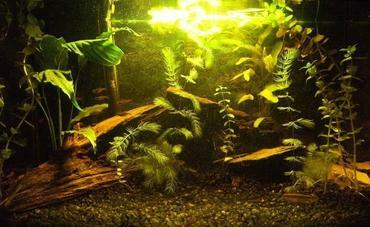 Decorating an aquarium with driftwood and live plants can be a challenge with larger species like the Oscar. 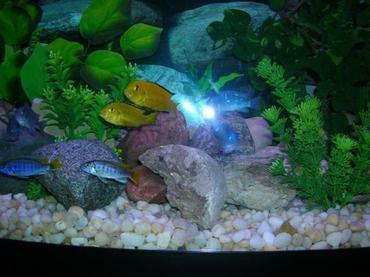 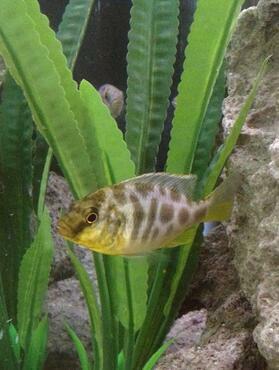 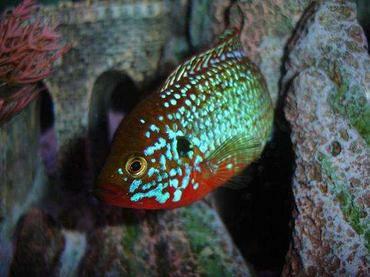 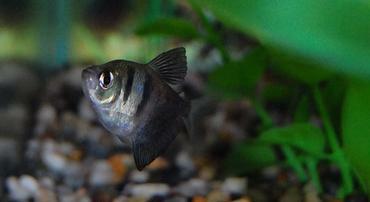 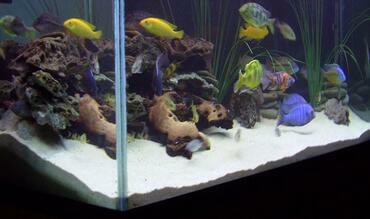 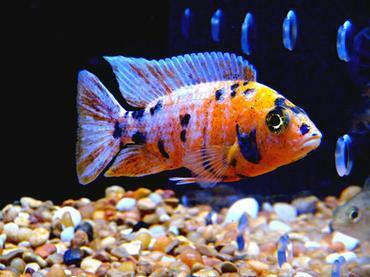 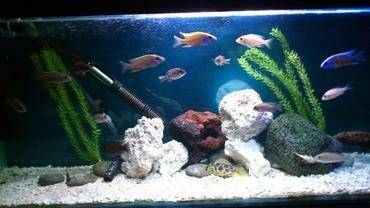 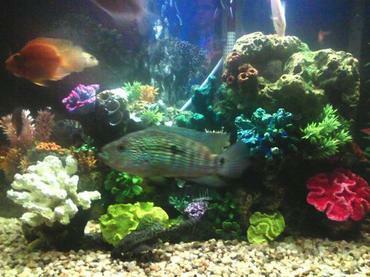 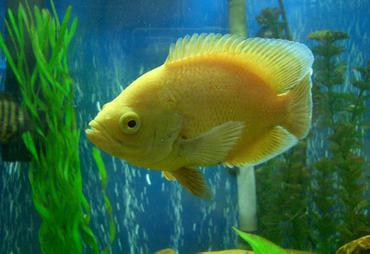 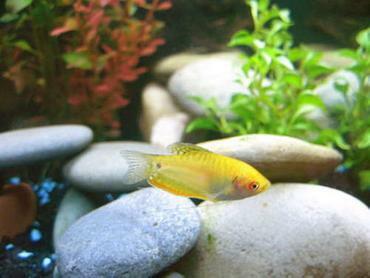 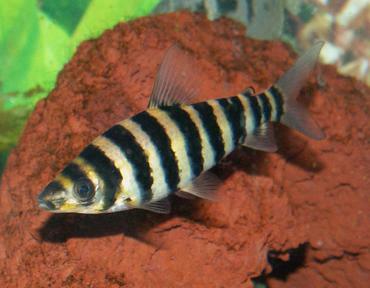 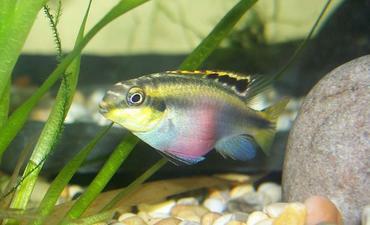 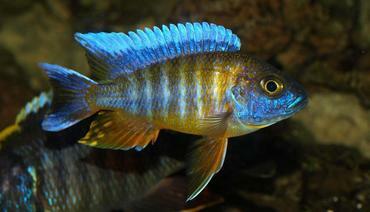 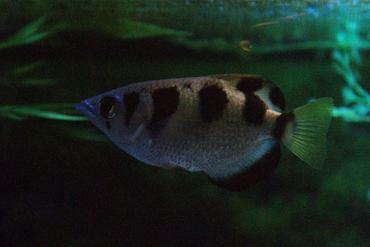 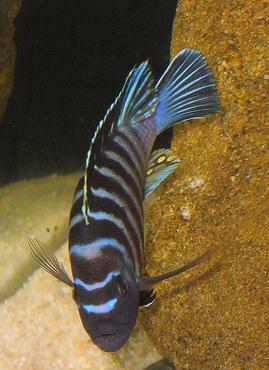 Larger cichlids can sometimes be destructive, digging into the substrate and rearranging items in the tank. 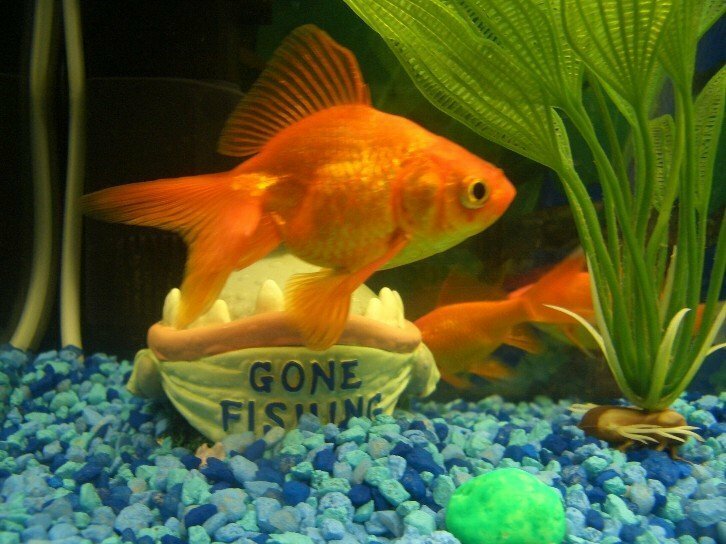 This being the case, you need to make sure that whatever decorations you choose, that they won’t harm your fish if they run into it or try to move it. 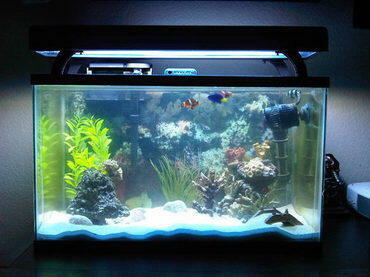 For the most part, this simply means avoiding tank decorations that have sharp edges. 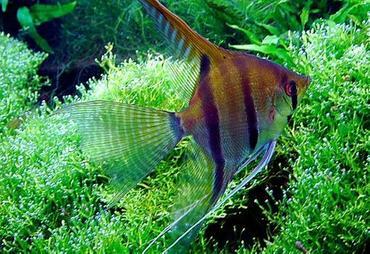 Though there are many options for tank decorations, driftwood is generally the best bet for a tank full of large freshwater fish. 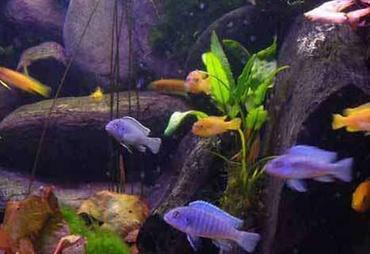 Driftwood gives your aquarium a natural appearance (especially when paired with live plants) and it is lightweight enough that your fish can move it easily without hurting themselves, if it comes to that. 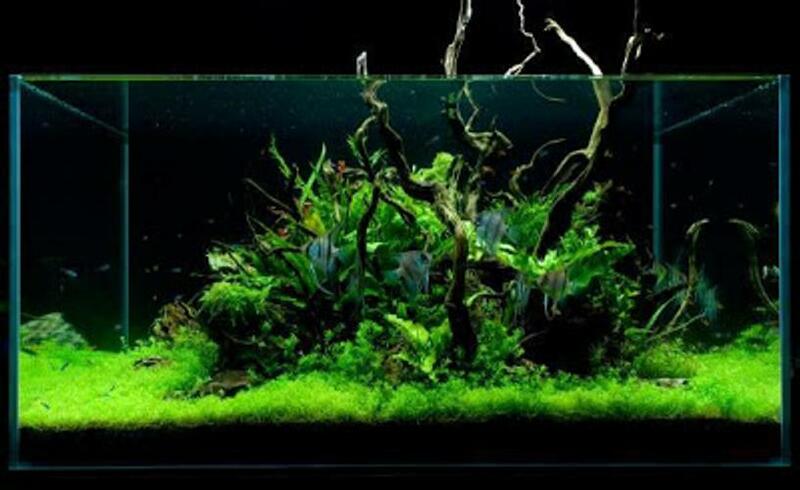 Though driftwood is a great option for decorating your tank, there are some things you need to keep in mind. 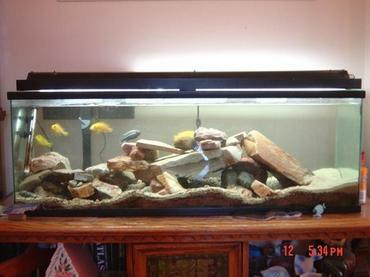 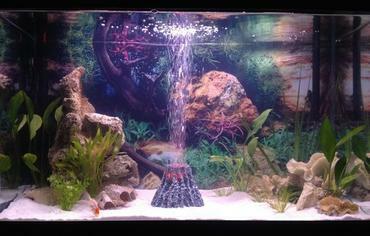 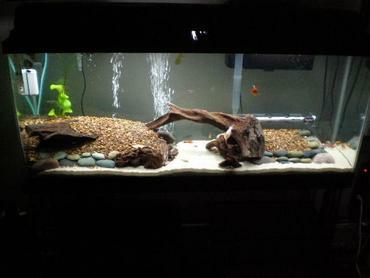 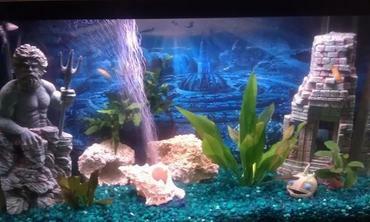 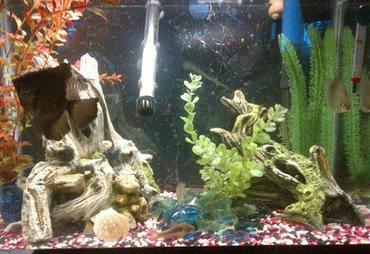 For example, you may not want your fish to move the driftwood around the tank. 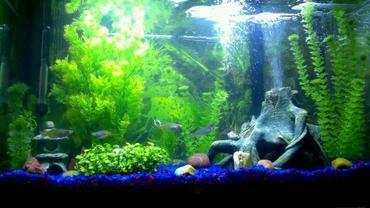 If you want to make sure that it stays where you put it, consider anchoring it to a piece of slate that you can rest on the bottom of the tank or bury in your substrate. 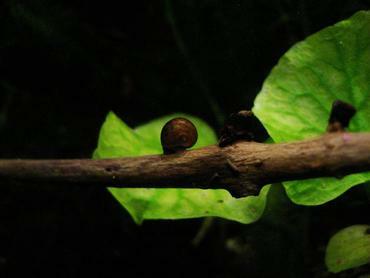 You also need to keep in mind that driftwood will leech tannins into the water unless the wood is thoroughly cured before use. 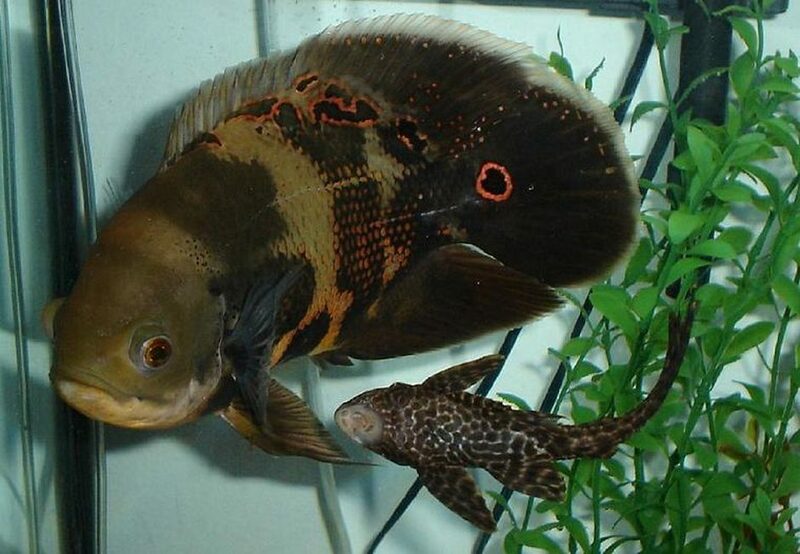 It isn’t necessarily a bad thing if the wood leeches tannins, however – it can help to lower the pH range which is actually good for some kinds of fish including Oscars. 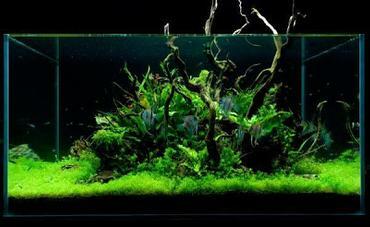 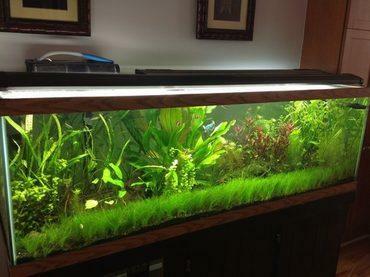 Another option you might want to consider when decorating your tank is live plants. 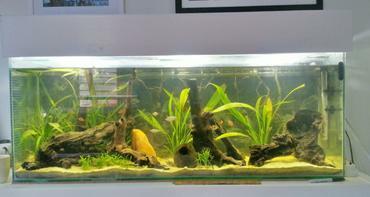 Live aquarium plants provide a great many benefits, but they do take some extra work to maintain. 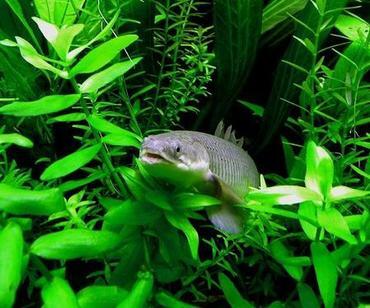 Having live plants in your tank will add to the natural aesthetics of the tank and will provide your fish with a healthy snack (for plant-eating species, anyway). 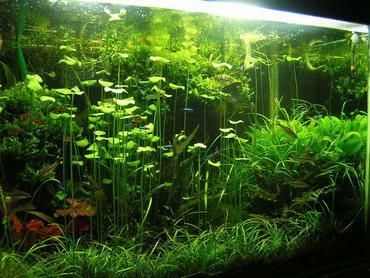 Plants will also help to remove carbon dioxide from the water, turning it into oxygen for your fish, and they will compete with algae for nutrients, helping to reduce algae growth. 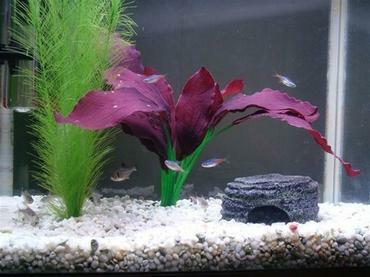 Live plants require certain nutrients and special substrate, however, as well as a certain degree of lighting in order to grow. 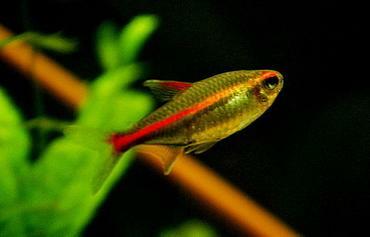 Do your research first to determine whether live plants are a practical option for the fish you plan to keep and to decide whether or not you are up to the challenge of caring for them. 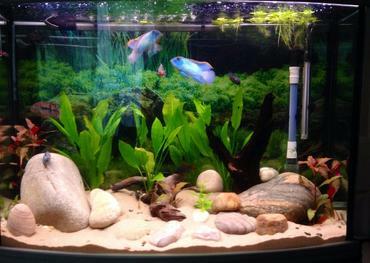 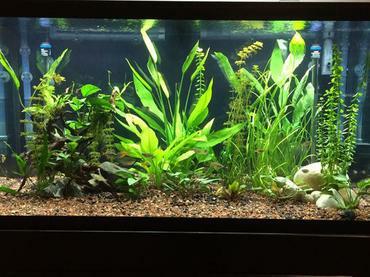 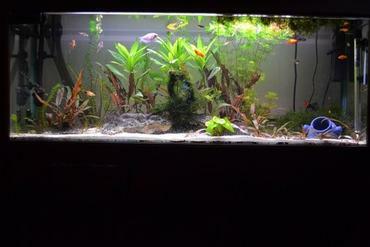 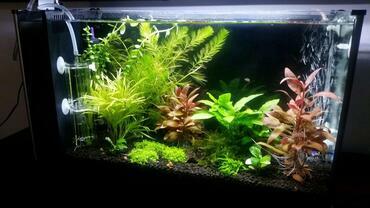 If you do choose to decorate your tank with plants, be smart about how you arrange them. 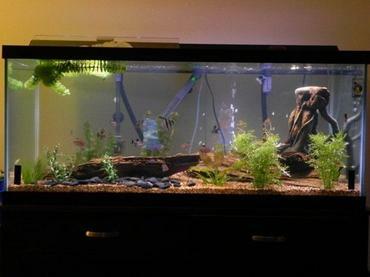 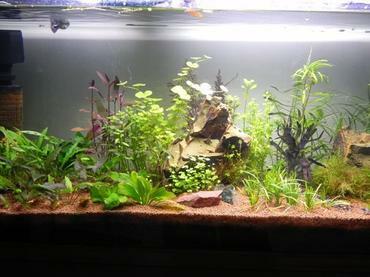 Place the taller plants toward the back and sides of the tank and the shorter ones in front to leave the middle of the tank open for swimming. 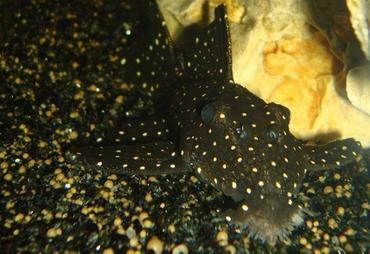 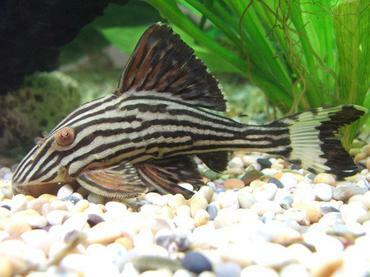 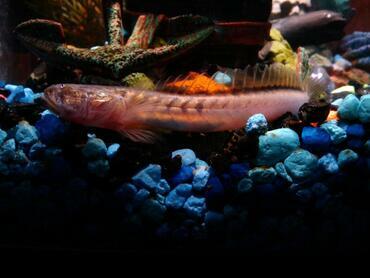 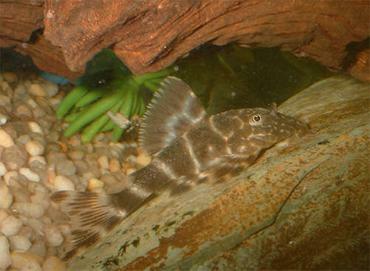 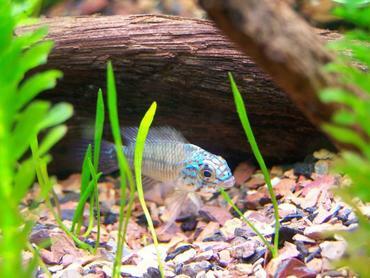 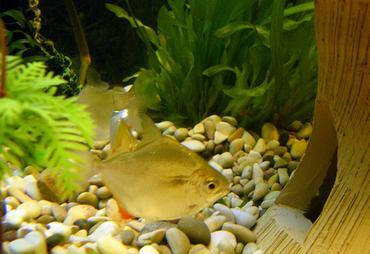 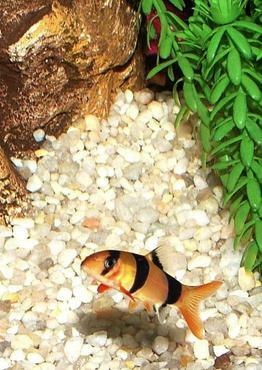 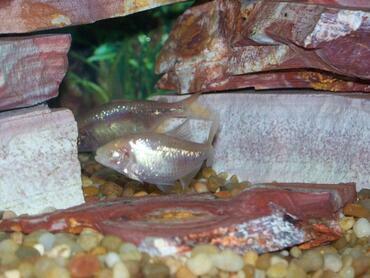 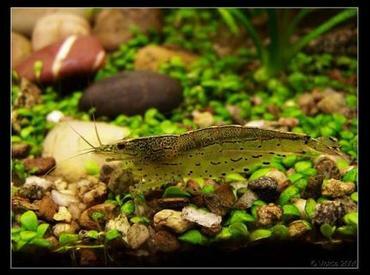 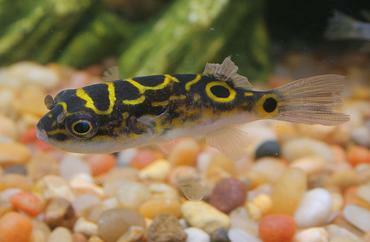 No matter what kind of fish you keep in your tank, having plenty of hiding places is a must. 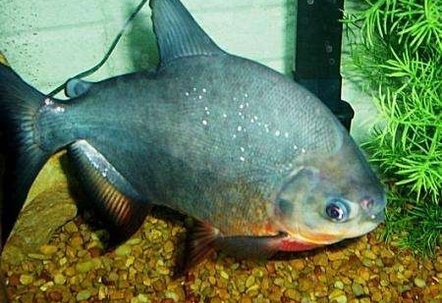 Of course, the larger your fish are, the more challenging it will be to find hiding places large enough to accommodate them. 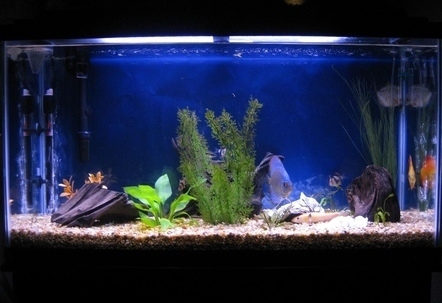 If you don’t want to spend a lot of money, try using clay or plastic pots from your home and garden store – you can bury them part-way into the substrate to keep them in place, turning them into little caves for your fish. 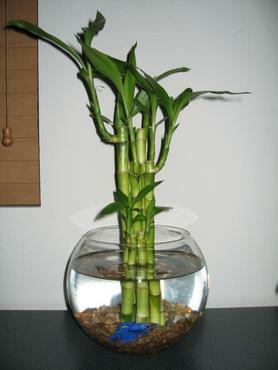 If you are using a clay pot and want to save space, try breaking it in half to give yourself two separate caves from one pot. 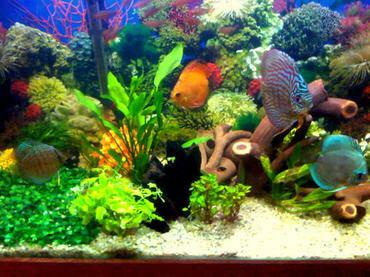 Another option you might try is large sections of PVC pipe, large pieces of slate leaned against the tank wall, and even thick clumps of live plants. 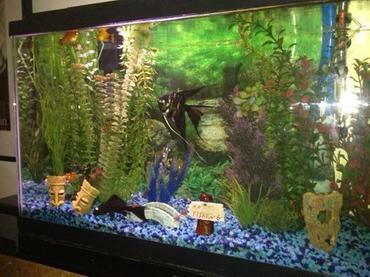 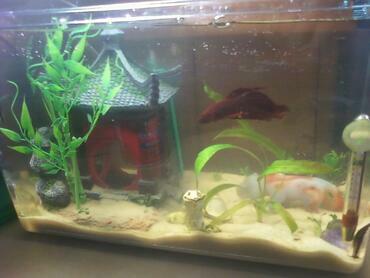 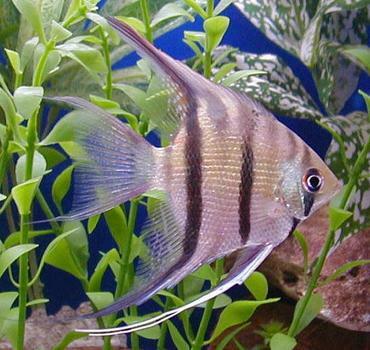 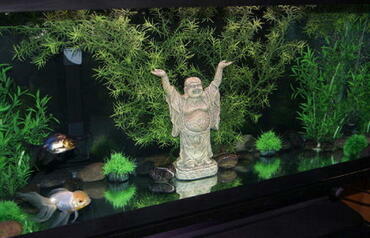 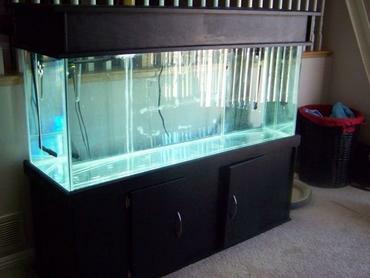 Just be sure to space the hiding places throughout the tank so that each fish can claim one as his territory. 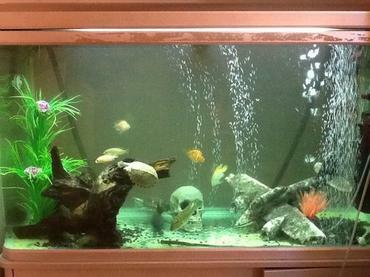 This will help to further reduce aggression. 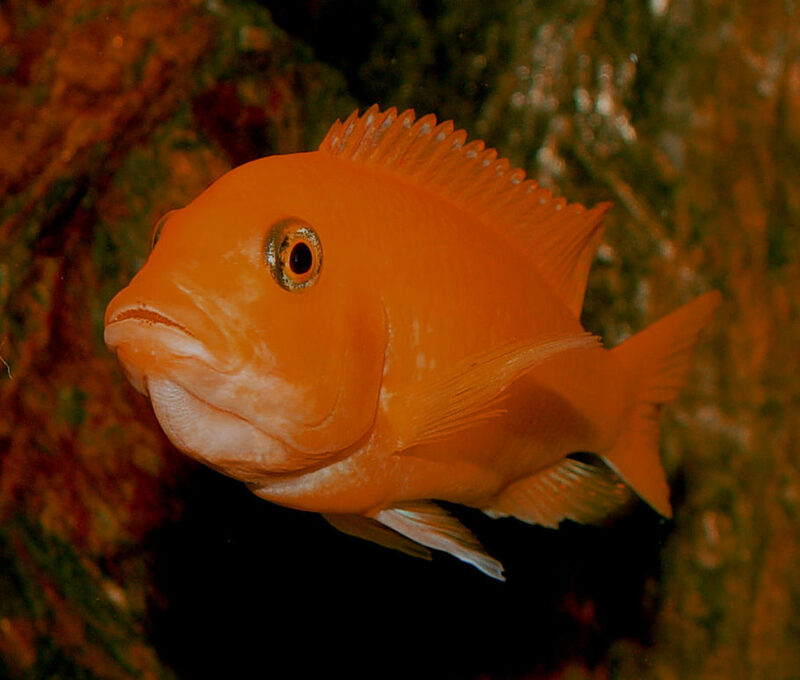 While it is not true that all large species of fish are aggressive, larger fish tend to be less community tank-friendly than smaller fish. 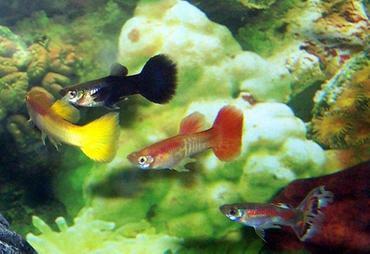 It is by no means impossible to keep aggressive species of fish together in one tank, but there are some challenges you’ll have to deal with. 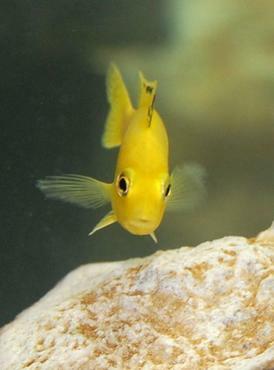 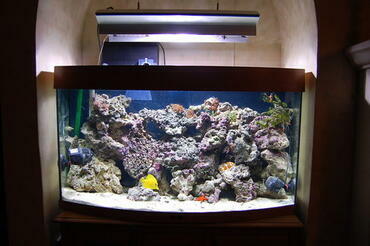 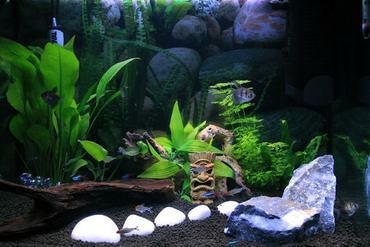 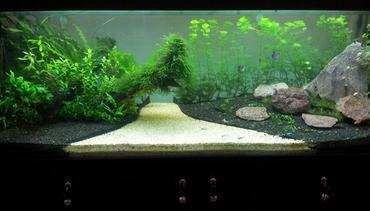 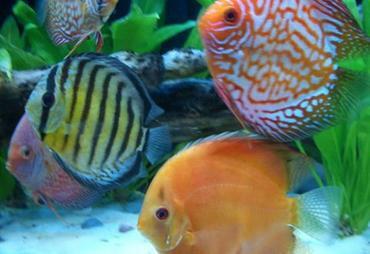 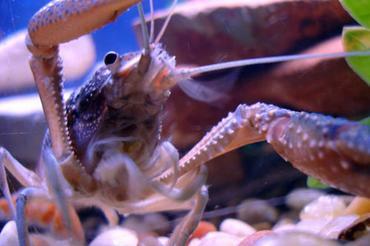 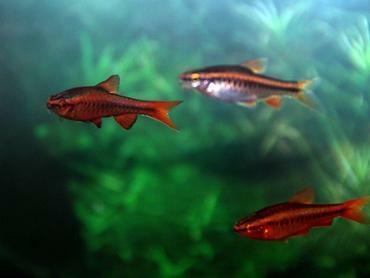 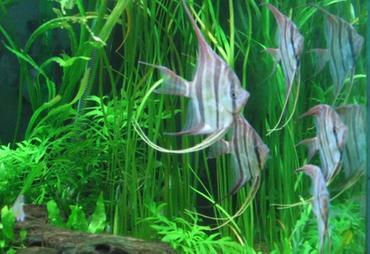 Your biggest challenge will likely be establishing and maintaining peace on your aquarium. 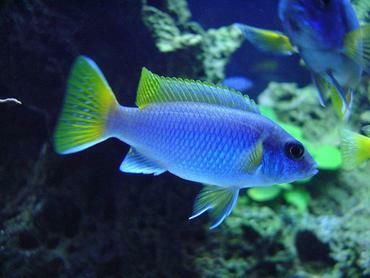 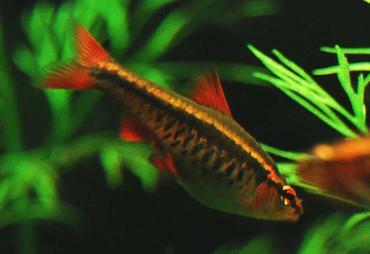 This can be difficult with large, aggressive, and territorial fish like cichlids but it is by no means impossible. 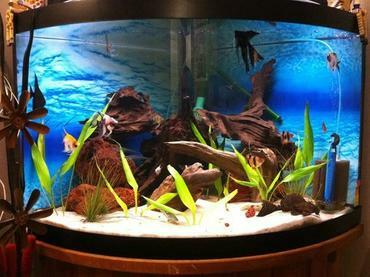 Making sure that your tank is large enough is the best thing you can do, but you should also be intentional about the way you arrange and decorate your tank to ensure that there are plenty of hiding places as well as decorations to break up sightlines and to divide the tank into different territories. 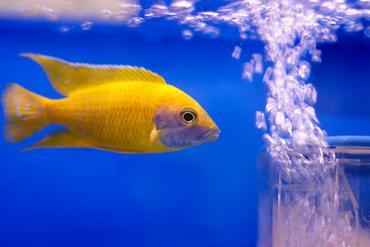 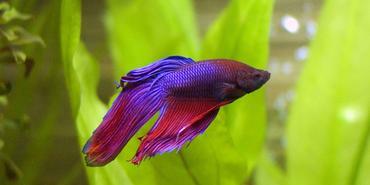 After you set up your tank for the first time, you’ll need to give it some time to see how your fish get along. 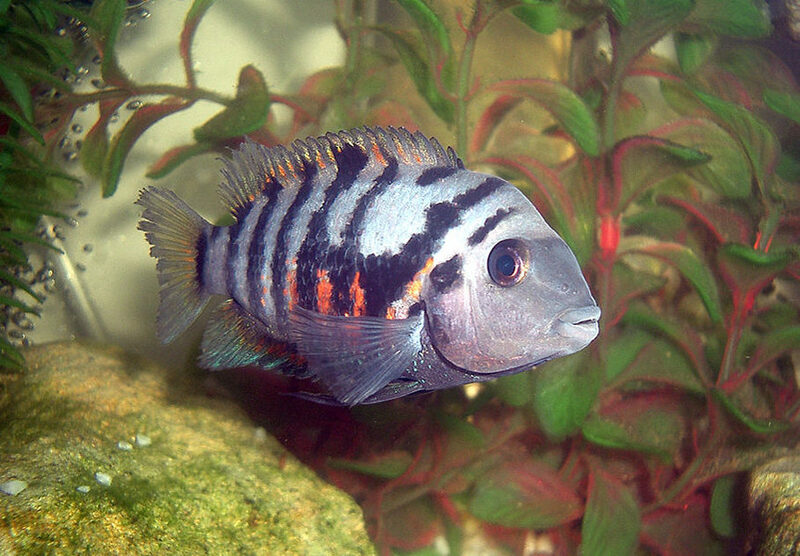 You’ll need to know what aggressive behavior from fish usually looks like in order to identify it and then to address the issue. 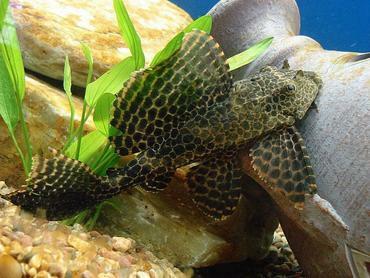 Aggressive behavior in fish usually starts with flaring gills or fins – one fish may also start chasing another and nipping at his fins. 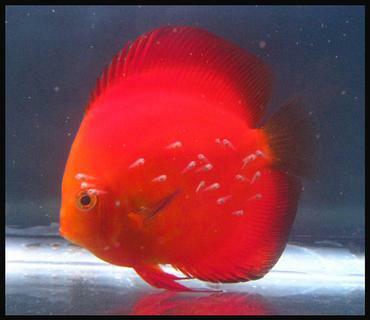 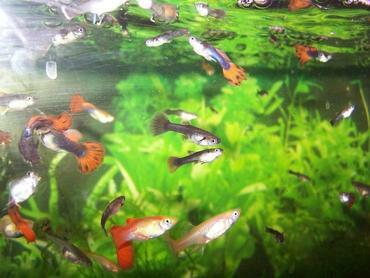 If the problem is allowed to continue, it may escalate to one or more fish chasing the others around the tank and openly attack him. 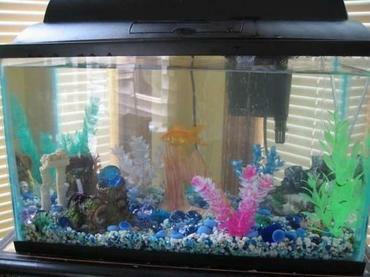 This can lead the victimized fish to hide in the tank and it may cause a detriment to his wellbeing. 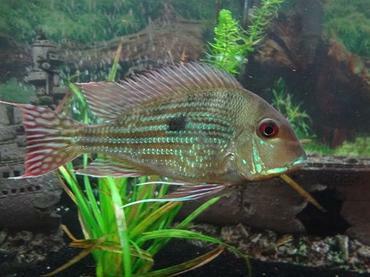 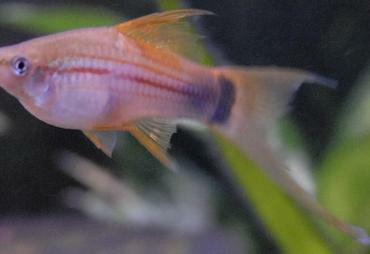 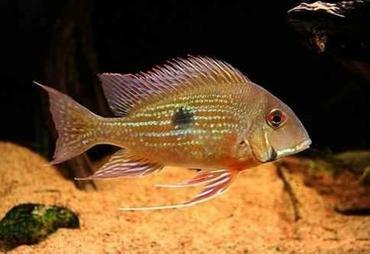 Keeping large species of fish in the home aquarium is a unique challenge, but it can also be very rewarding. 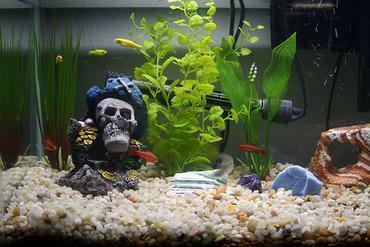 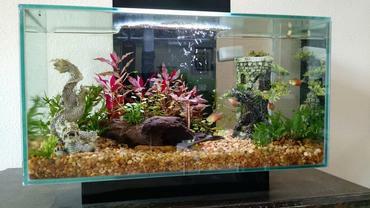 If you take the time to carefully plan and decorate your tank, you will find the task much easier in the long run.